What are transferable skills? How to define them? What are examples of transferable skills? You’ve come to the right place to find your answers. But this is not everything. We’ll help you identify what transferable skills you already have, and show you how to pick the best ones for your resume. Definition and examples of transferable skills. Why transferable skills are important. Why every job applicant should identify their transferable skills. How to put the best transferable skills on your resume. Transferable skills, as the name suggests, are skills that can be transferred from one field to another. They’re often referred to as portable skills because you take them along with you from job to job. The term transferable skills collectively refers to a set of abilities that are relevant and useful in many different areas of life. Because of their versatility, transferable skills are of interest to any employer regardless of the industry. Communication skills are often cited as one of the most important transferable skills. After all, the ability to communicate with other people effectively always comes in handy—both in professional and personal contexts. The best thing about transferable skills is that you're likely to already possess quite a lot of them. It makes it so much easier to identify what transferable skills you have. You'll know exactly what to leverage on your resume. The list of transferable skills above isn't random. Easily the most important transferable skill of them all. Successful communication is crucial regardless of the situation. And it doesn't matter if you want to communicate an idea of yours to the world or have a conversation with a colleague. Communication is a two-way process—it’s about self-expression and listening to others. If you're unable to get your point across or focus on what you're being told, you clearly need to improve your communication skills. Because they help people solve problems. The more effective they are at solving problems they better they fare. Now, problem-solving skills are part of a larger set of analytical skills. Of all transferable skills, employers value analytical skills the most. In fact, it's hard to find a job offer that doesn't require them. Because those who think analytically and help solve problems are exactly the ones who help businesses thrive. Yet another invaluable transferable skill. You don't need to be a manager to have management skills. Management skills cover a broad spectrum: from project management to people management to time management or action planning. Take a look at the list of management skills above to identify what you're good at. Use this valuable transferable skill to your advantage. Arguably, the most difficult of transferable skills to master. Leadership and management skills are often conflated, but they aren't the same. Management is about efficiency. Leadership is about inspiration. Leaders motivate and set a model to follow. They are great communicators and their soft skills are beyond compare. People follow true leaders not because of seniority level, but because deep down they feel it's the right thing to do. Watch the inspiring TED Talk by Simon Sinek to learn more about what leadership is about. And find out if you’re a leader yourself. We’re living in a world where technological competence is a must-have. Even when your job isn’t centered around technology, you are expected to have a working knowledge of office suites at the very least. Your computer and technical skills are easily transferable from one job to another, and the more you’re able to offer, the higher your employability. Technology changes at high speed and so do the ways we all work. That’s why it’s crucial to keep abreast of the technologies that give you the upper hand in your professional field. The best definition of transferable skills? Skills you can take with you from one job to another. There’s a tiny problem though. It’s not enough to have the transferable skills. You must know how to show them on your resume to land that dream job of yours. Let’s take a look at a specific job, such as a teacher, to see what this means in practice. 2018 has been pretty tough for teachers who quit their jobs at the highest rate on record and look for job opportunities elsewhere. It’s pretty obvious that teachers are skilled in their particular fields of expertise. The added value of employing a teacher lies in the transferable skills they bring in. An English teacher wishing to pursue a career in content marketing has much more to offer than just their English skills. The first step is to identify what transferable skills you have and which ones you might want to transfer from teaching to business. A quick look at the transferable skills list above can help. For the sake of convenience, let’s limit ourselves to up to five from each category. 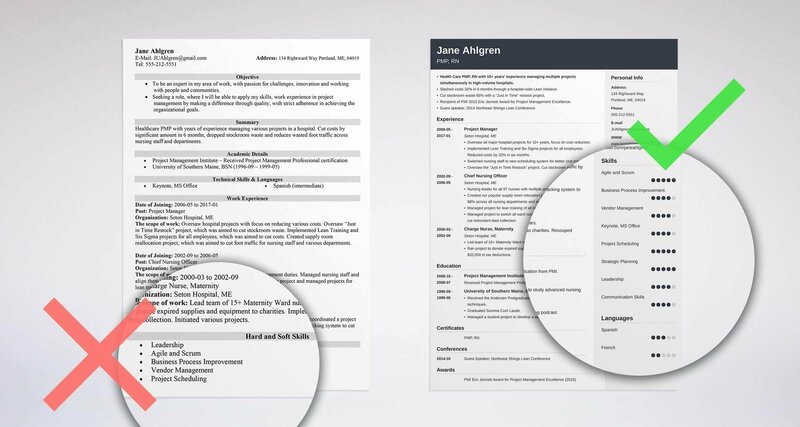 Here’s how to list transferable skills on a resume. First, identify which teaching transferable skills you might want to put in the limelight. How to do pick out those skills? Line-edit manuscripts in English, checking for flow, comprehension, meaning, and relevance. Research on various topics online to add the Editor’s perspective to manuscripts. Use online and offline tools to check for punctuation, grammar etc. Coordinate with our authors and fulfill editing, proofreading, and formatting required for print and digital publishing. Proficient in computer skills, including Microsoft Office Suite and Google Docs etc. It won’t be an understatement in the least to say that as a teacher you have it all. Writing, editing, correcting, researching, coordinating projects, and working under pressure with a positive attitude. Plus, you're a natural born leader. Proofread, edited and corrected a wide variety of texts in English for flow, coherence, cohesion, and relevance, including essays, websites, blog posts, banners, and other articles. Researched and wrote numerous presentations on multiple topics to spark and sustain interest from groups of 20+ teenagers suffering from the attention-deficit syndrome. Power user of online and offline spell-checking and grammar-correction tools including Grammarly and Hemingway. Make sure to follow the phrasing of the original job ad to pass the ATS scan. Now that you know how to identify and describe teacher transferable skills on a resume it’s time to write your job-winning resume. And don’t forget you should put your transferable skills in a cover letter as well. This is relevant both to you and employers. If you know what your strengths and skills are, you’ll never be afraid of losing or changing a job. Thanks to your transferable skills you can succeed in many different roles and situations. Plus, employers will always value employees whose potential goes beyond their core competencies. As a flexible and adaptable candidate, you may gain a competitive advantage over the more experienced ones. If you lack experience but you learn quickly, display a can-do attitude, and have a wide array of transferable skills to offer, the employer may consider you before the others. It’s part of the so-called hiring for attitude approach. You hone your transferable skills all the time. Take a look at the list of transferable skills for a resume at the top of this article and identify yours. When you do, use them on your resume to your advantage. Once you learn a transferable skill, it’s yours for a lifetime. Transferable skills are the so-called portable skills. You can transfer them from one job to another. You already have quite a lot of transferable skills as you develop them all your life in personal and professional contexts. The best transferable skills for career changers are the ones that are relevant to the job offer. Identify your transferable skills, cherry pick the ones the employer is seeking and work them into your resume. Do you have any questions about transferable skills? Maybe you’d like to share some tips on how to develop them? Give us a shout out in the comments below! We’d love to hear from you! The best job interview tips to turn any interview into a success. Last minutes before the meeting? Preparing well in advance? We've got it all. Soft skills vs hard skills: what are they? See lists of hard and soft skills, definitions, and what employers look for when they hire.